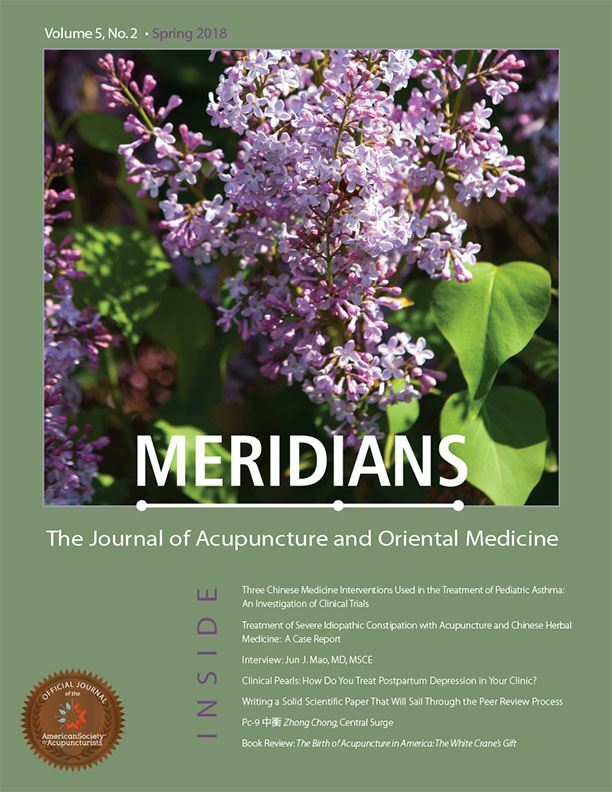 To find an acupuncturist in your area, see our Member Directory. For the latest acupuncture job and rental opportunities, visit our Job Bulletin. Did you know that you can earn PDAs, CEUs, and CPDs and support ASVA at the same time? It's true! When you click on the image below and sign-up for an online course, Healthy Seminars will give 10% of your seminar fee to ASVA. This is a great way to help ASVA raise money for present and future campaigns! ASA - CPT Committee Report: The ASA recently released a report regarding the American Medical Association (AMA) CPT Code Committee meeting. The report describes information needed to understand the CPT process and its outcomes relative to recently developed codes which affect the practice of acupuncture nationally. To learn about these developments, view the report here. ASA - US H.R. 6 Report: The ASA recently released a report on HR 6, a bipartisan legislation signed into law on October 24th. HR 6 is intended to address the role of Medicare and Medicaid in improving services that can mitigate opioid overuse and abuse. Its highlights for the the integrative health community center around language that explicitly includes and mandates the study of non-pharmacologic approaches to pain control. This legislation is the first in U.S. history to specifically name "acupuncture" and "therapeutic massage" in public documents. 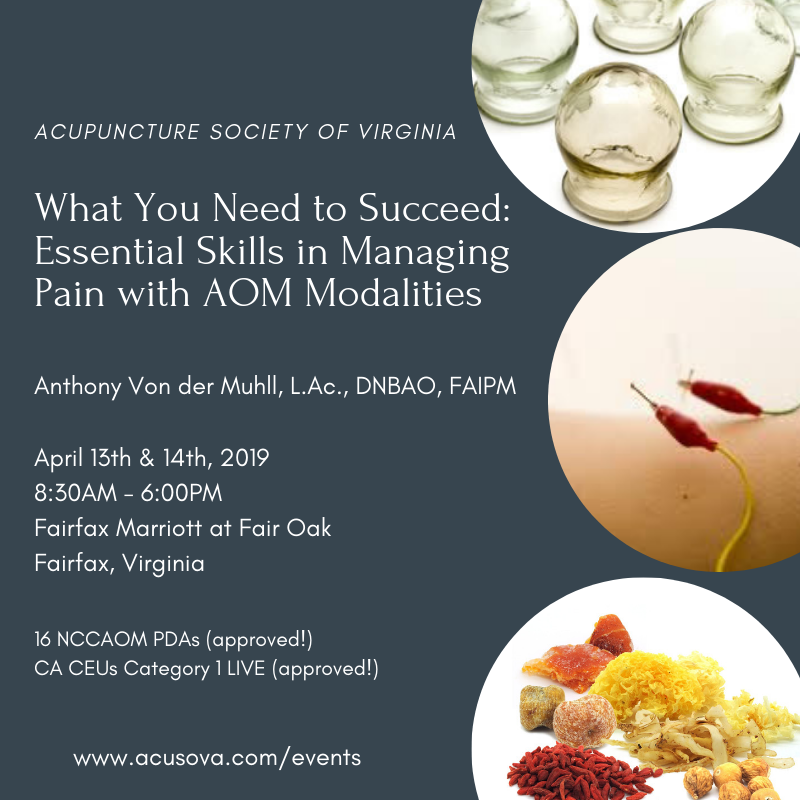 Advisory Board on Acupuncture: In October, Governor Northam announced administration appointments. Recent appointments to the Advisory Board on Acupuncture includes: Dr. Keith Bell, L.Ac. ; Janet Borges, L.Ac. ; Sharon Crowell, L.Ac. ; and, Beth Rodgers PhD, RN, FAAN. To view a copy of the press release, click here. 2018 ASVA Fall Seminar: ASVA held its 2018 Fall Seminar in mid-October. Thank you to all who attended our Fall Seminar. Thank you to our speakers: Lorne Brown, B.Sc., CPA (CA), Dr.TCM, FABORM, CHt; Marc Sherman, owner of Organic Conceptions; Vasiliki A. Moragianni, MD, MS, FACOG, CCRM Northern Virginia; and, Keith Bell, DACM, L.Ac, Oriental Medicine Specialists, PC.